Global Mobility Solutions (GMS) is the original pioneer of the benefits of pre-decision services such as a pre-hire assessment for relocation. Our clients know that partnering with us at the start of the relocation process helps identify the markers of a successful relocation. It also greatly enhances transferee productivity. Our team of global relocation experts also knows that assessments are valuable tools for our clients. Working with clients to review their relocation policies, we often find areas where we recommend improvements. If clients are not using assessments, we recommend adopting this valuable tool. What is a Pre-Hire Assessment? A pre-hire assessment is a recruiting tool that is used to help identify qualified candidates for open positions. Competency analysis is one of the most common features of a pre-hire assessment. Another feature is the tool’s ability to summarize and interpret results of the assessment. Most companies use assessments for positions that require a high level of skills, are professional in nature, or are executive positions. What are the Benefits for the Client? What are the Benefits for the Candidate? What Should Employers Expect When Using a Pre-Hire Assessment? Employers should expect that assessments will help their organizations recruit qualified candidates more quickly and efficiently. The ability to select from a pool of qualified candidates that have completed the assessment will reduce administrative time and increase the speed of the talent recruitment process. Employers should review their talent recruitment programs to determine if they need to add a pre-hire assessment. Employers with pre-hire assessments should review the tool to determine if they should add additional features or invest in new technology that will enhance the process. Global Mobility Solutions’ team of corporate relocation experts has helped thousands of our clients with their talent recruitment programs and pre-hire assessment needs. We can help your company understand how to identify good assessment tools and incorporate them into your talent recruitment process. 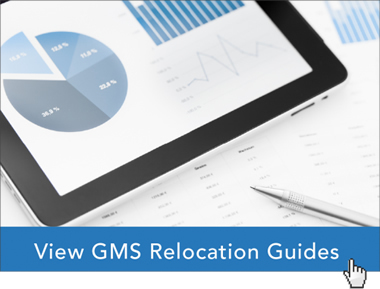 Learn how your company can benefit from pre-hire assessments and pre-decision services from Global Mobility Solutions, the relocation industry and technology experts who are dedicated to keeping you informed and connected. Contact our experts online or give us a call at 800.617.1904 or 480.922.0700 today. What is the Best Way to Recruit Top Talent in a Tight Job Market?